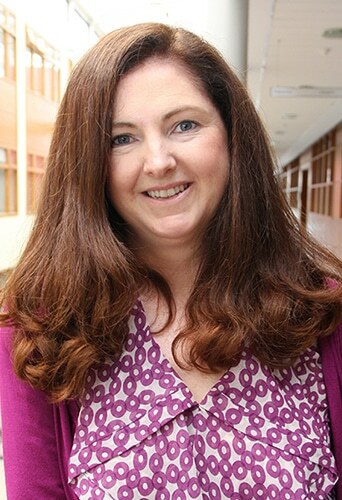 Samantha Fahy holds a primary Science degree from NUI Galway (1991), a Master in Optoelectronics from Queen’s University Belfast (1992), a diploma in Management from Trinity College Dublin (1997) and an MBA from Dublin City University (2010). Samantha has over 20 year of experience in the management and administration of high technology research projects and has developed a deep understanding of research practice gained from working closely with outstanding researchers engaged in complex projects, such as SFI Strategic Research Clusters, which are multi- institutional, multi-disciplinary and have deeply embedded industrial partners. In 2004 Samantha was appointed the Centre Manager for the National Centre for Plasma Science and Technology focusing on the long-term strategic planning for the Centre, including the coordination and submission of major research grants applications and other funding opportunities as well as management of complex budgets over multi-year time frames, liaising with many partners (often with conflicting interests), and successful negotiation of difficult consortium agreements. Earlier in her career (2001 – 2004), Samantha launched and managed a start-up company focused on delivering technology focused education and training programmes tailored to specific industrial requirements. In 2012 Samantha took on the part-time role of Manager of Sustainability at DCU – a new cross University initiative to develop and promote Sustainability across all functions including teaching and learning, research development and innovation, campus management and operations as well at enhancing engagement with external stakeholders. In June 2013 Samantha moved full time to this role. Samantha has over 20 year of experience in the management and administration of high technology research projects and has developed a deep understanding of research practice gained from working closely with outstanding researchers engaged in complex projects. She currently supports the development and embedding of sustainable solutions across DCU.